1. 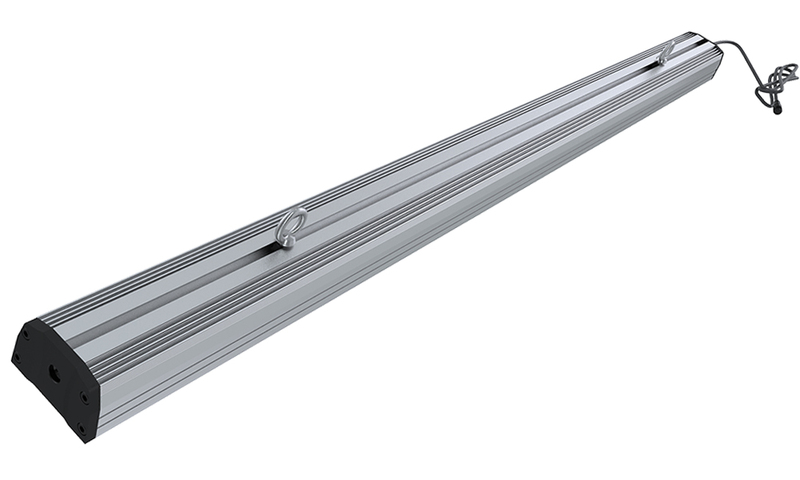 Outstanding light uniformity reaches 95%,improve uniform growth. 2. 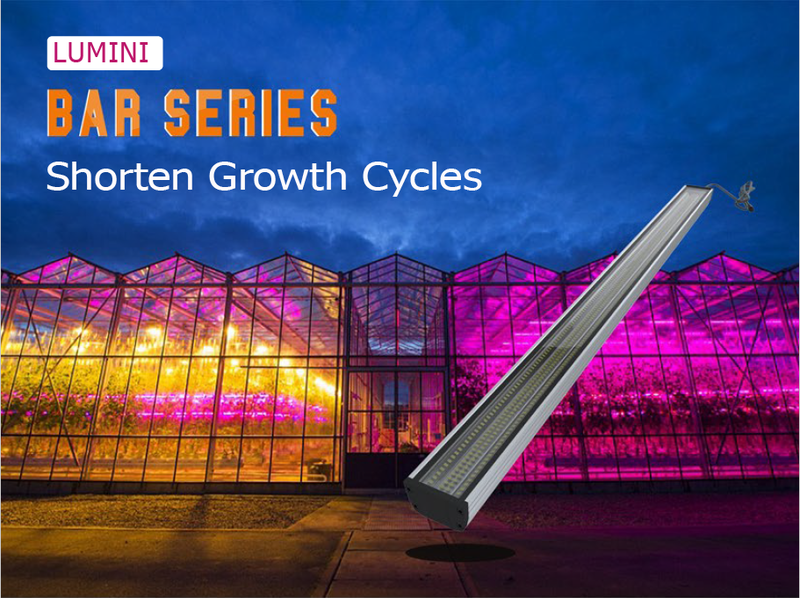 Shorten growth cycles significantly. 3. 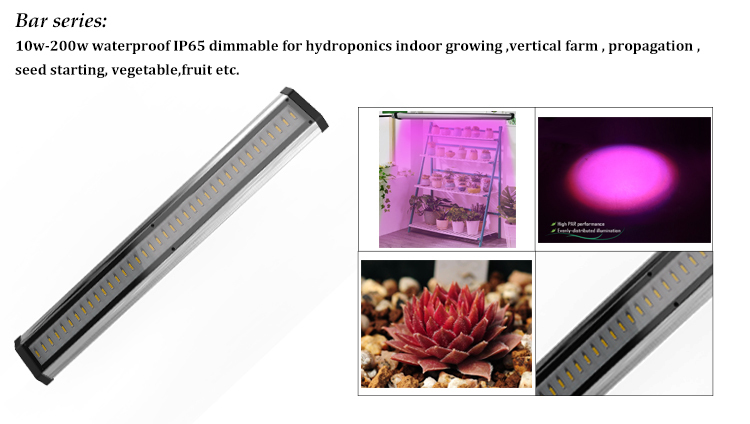 60% energy reduction compare to HPS light. 4. Low maintenance costs and longer working life. 5. Improve color and shape and tast (espacially in winter time). 6. Working with israeli grow expert and develop the optimized spectrum compositions(light receipt) which fits 95% crops and situation. 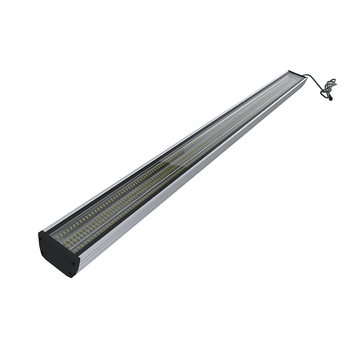 Lumini grow light offer a complete led grow light solution to help growers to insrease yield, Bar series toplight is 4’ (120cm) long bars that with 120-180 W produces a total output up to 450umole/s,with original Imported led chips the efficiency reaches 2.5umole/J on the fixture level! 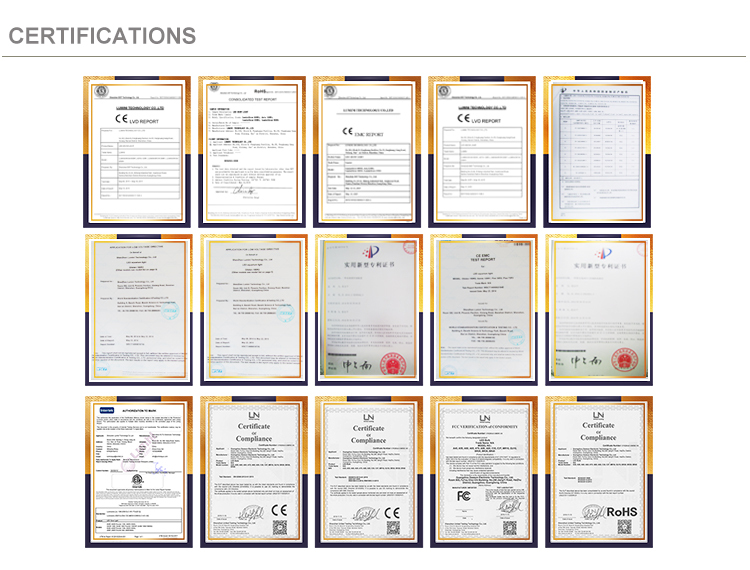 delivery typical PPFD more than 300umole/s/m2. 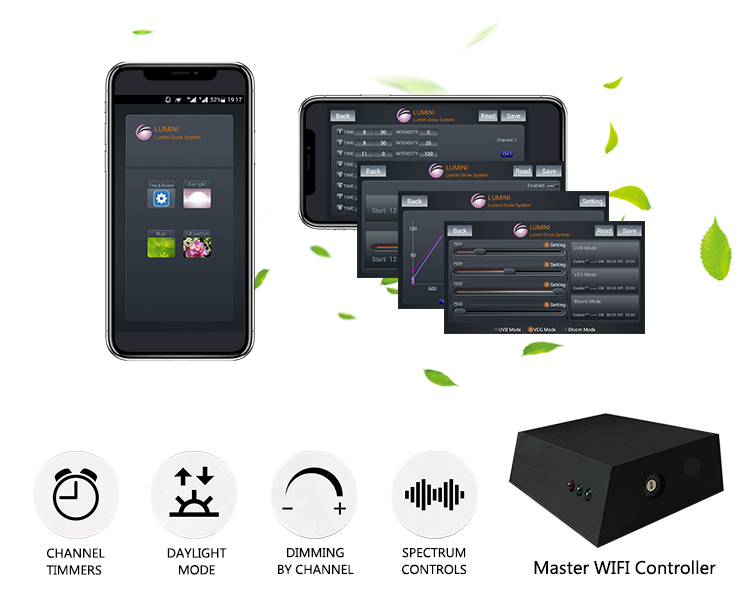 The lights can be daisy chained and controlled by wifi/DMX controller, give you full control of the lights on your mobile phone and computer.each toplight comes with a spectrum composition that is designed for your crop(s) for different type of growing situation. 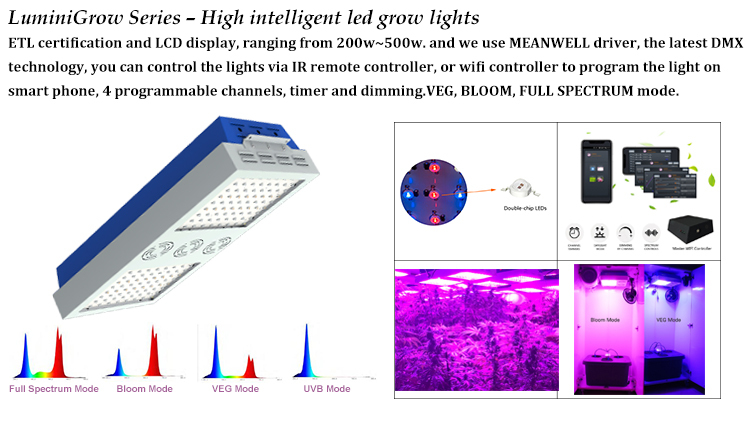 The exact way that plants use light is very specific to individual plant species and their natural environment. Evolution has produced a huge variety of plant strategies for growth and it is impossible to over generalize light responses. Different spectrum mixes promote different plant morphology in different growth stages, and there simply isn’t one ideal. 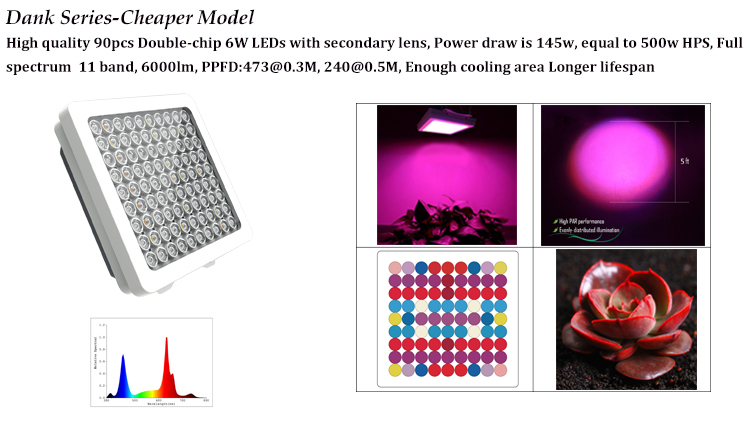 And that is the main benefit of LED’s over HID, the ability to use varying spectrum to design the plant for what you want from it. 3. Red light 660nm -affects phytochrome reversibility and is the most important for flowering and fruiting regulation. 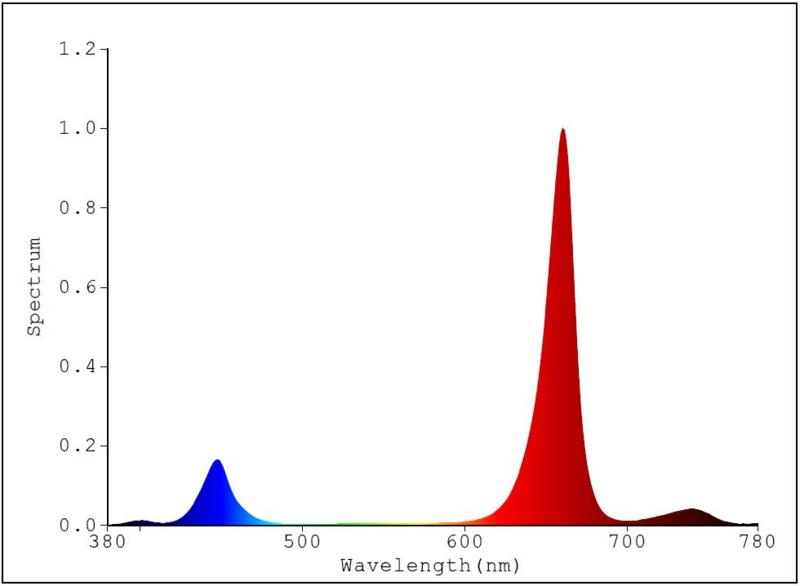 These wavelengths encourage stem growth, flowering and fruit production, and chlorophyll production. that comes with every fixture.